The Nadi Airport Modernisation Project has commenced on time and work is picking up good momentum. Airports Fiji Limited executive chairman, Faiz Khan, confirmed there is behind the scenes work taking place in areas that have been hoarded off. “The important date to look forward to is around the October 15 where our contractor will close off the first floor of international departures to allow construction to take place,” he said. “However, there will be hoarded passage-ways created on the 1st floor to allow passengers to access their respective gates 15 minutes before boarding time. “Once the 1st floor is closed for construction passengers will dwell on the extended ground floor lounge spaces. Mr Khan said the only way they could efficiently build at an operational airport was by closing segments of areas, working on it, finishing it and then moving to other areas. The process is termed as the ‘staging plan’. 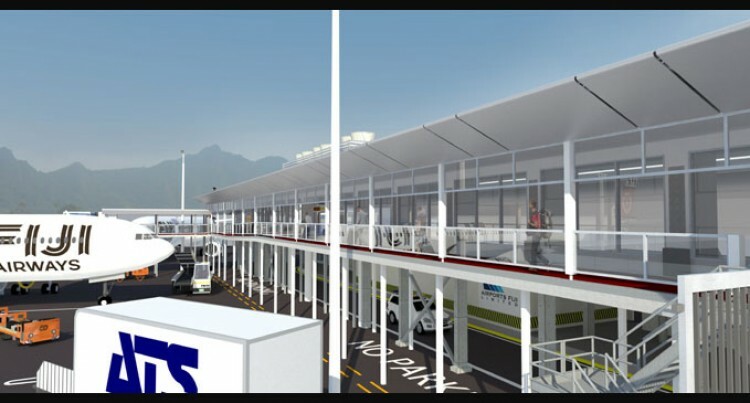 “The contractor has come up with the staging plan in consultation, and agreement, with Airports Fiji and its stakeholders to ensure that construction is completed with 16 months time of the contract,” he said. Mr Khan said they have received the greatest of support from their key stakeholders. “The airlines and more importantly our tenants whose spaces have been affected during construction have been most cooperative in temporarily relocating to allow construction to take place,” he said. “In some spaces out tenants will have to relocate twice to allow construction and even that has been accepted by them. Finally, there are a number of passenger traffic flows that have been modified and will continue to be modified in the interest of operational functionality. Mr Khan said: “We are relying on signage to re-direct these passenger traffic movements. Vast majority of the people and travelling passengers have cooperated and expressed full support in view of progress and modernization,” he said. “We are thankful to the travelling passengers for their patience and understanding who have joined hands with us for Nadi Airport upgrade and modernisation.